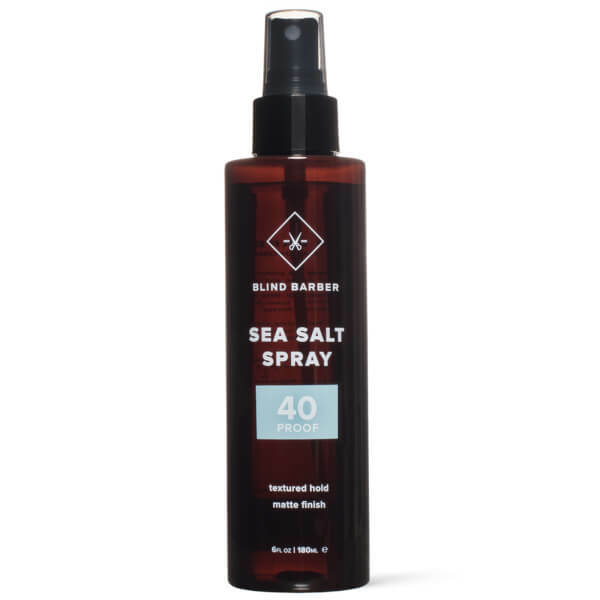 Achieve a surfer-inspired look with Blind Barber's 40 Proof Sea Salt Spray; a protein-rich formula that delivers texture and definition with a long-lasting matte finish. Infused with Sea Salt and Hops (from beer! ), the water-based spray boosts volume and body, whilst providing light hold and creating animated, beachy vibes with a subtle Tonka Bean scent. Washes out easily. 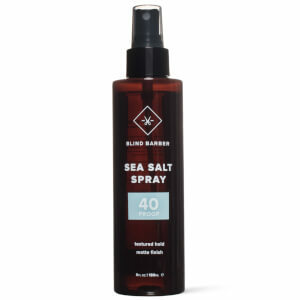 Spray evenly on damp or towel-dried hair. Water/Aqua/Eau, Magnesium Sulfate, PVP, Polysorbate 20, Sucrose, Laureth-12, Phenoxyethanol, Sorbitol, Fragrance/Parfum, Panthenol, PEG-40 Hydrogenated Castor Oil, Sodium Chloride, Linalool, Hexyl Cinnamal, Cinnamyl Alcohol, Butylphenyl Methylpropional, Coumarin, Alpha-Isomethyl Ionone, Citronellol, Limonene, Citric Acid.